I read and review for fun. If you have a book you want me to read, private message me the info. I accept Kindle ebooks & physical books. Guy moves in, everyone wants to date him. Murders start happening. Who dun it? My current read for The R L Stine Challenge Group I'm in on Goodreads. 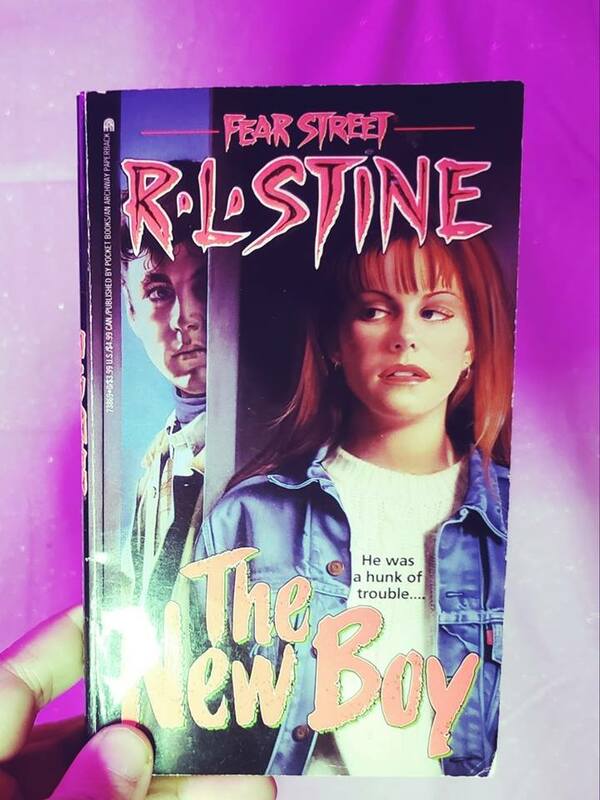 It started as a year long Fear Street group buddy read, but we're on our second year and opened up to any book by R L Stine! We've got our books picked for the rest of the year; mostly still Fear Street (there is a lot to go through!) The group is in the Horror Aficionados group in the buddy reads section if you're interested in joining! He stole their hearts…Does he want their lives, too? What a hunk! When handsome, mysterious Ross Gabriel comes to Shadyside High, all the girls want to date him…even the ones who already have boyfriends! Janie, Eve and Faith go so far as to make a bet…which one of them will he go out with first? But then the murders begin, and it starts to look like dating Ross means flirting with a gruesome and untimely death. Will Janie’s dream date with Ross turn out to be the night of her life? Or the night of her death?